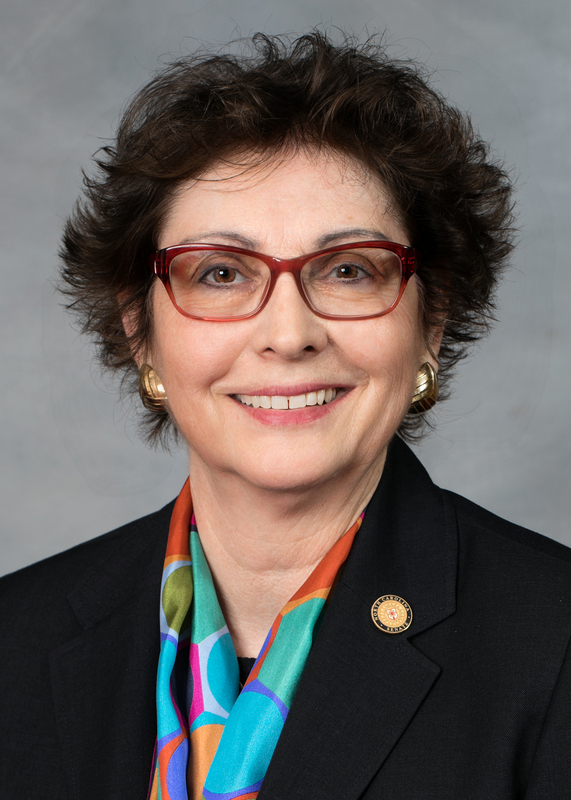 Google is labeling a Trump-supporting Republican state senator a "BIGOT"
Trudy Wade is a Republican state senator from North Carolina and an enthusiastic supporter of President Trump. But if you search “Trudy Wade” on Google, the search giant displays an old photo in the “knowledge panel” of its search results with “BIGOT” superimposed in big red letters. It's just the latest example of Google not vetting the information that gets pulled into its “knowledge panels,” which are meant to give users quick information without them having to click through search results (often on other, non-Google websites). Google’s “Bigot” picture has surfaced as Wade is in the midst of a tough re-election battle against marketing executive and Democrat Michael Garrett. The state’s district maps were redrawn for this election after several courts ruled that the state had been racially gerrymandered to benefit Republicans. The newly redrawn state legislative districts have made Wade and the 27th district a top target for progressives in the state. The local Indivisible group “Flip NC” has deemed the 27th one of its top 10 “most flippable” Senate districts this year as Democrats attempt to break the Republican supermajority in the state legislature that allows Republicans to override the Democratic governor’s vetoes. VICE News asked Google for comment before the story went online but did not receive a response. After the story was published, Google took down the photo and a Google spokesperson sent a statement that read: "Information and images from our Knowledge Panels are automatically sourced from around the web. When we are alerted to issues like this, we move quickly to fix the problem, as we did in this case." This is not an isolated incident for the tech giant. On Thursday, VICE News reported that Google had listed “Nazism” as the primary ideology of the California Republican Party in the “knowledge” box of search results. Google acknowledged the error but said it wasn’t really their fault since they rely on other sources like Wikipedia to populate the knowledge panel. “Sometimes people vandalize public information sources, like Wikipedia, which can impact the information that appears in search,” a Google spokesperson said. But Google’s reliance on third parties for facts is leaving it open to gamesmanship, particularly in an election year. Wade was serving on the Greensboro City Council at the time. A more recent photo can be found on the North Carolina state legislature website. Comer did not respond to a request for comment. While both cases identified by VICE News involve Republicans, the misinformation on Google likely isn’t about political bias so much as its unwillingness or inability to monitor the meddling in search results around hotly contested races. Google labeled Republican North Carolina state Sen. Trudy Wade as a “bigot” in its “knowledge panel” for the pro-Trump lawmaker. According to Vice News Friday, searching for Wade on Google would show users an image of the state senator with “BIGOT” in bright red letters displayed at the bottom. Google search results become a battleground in an election year. Wade is currently in a tough reelection battle. It’s likely not helpful for her campaign to have the image as one of the first things voters would see if they Google her. Google did not respond to Vice’s request for comment on the matter, but the tech giant did take down the image from Wade’s knowledge panel after the article’s publication. This is not the first time concerns have been raised about the information displayed in Google’s knowledge boxes. On Thursday, Vice reported “Nazism” was listed as the primary ideology for the California Republican Party in the box at top-right corner of its Google search result.